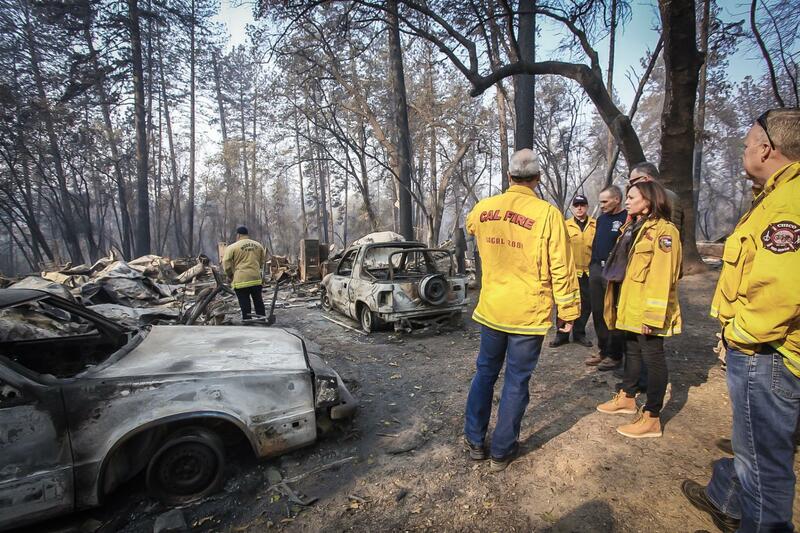 Many of our California communities are recovering from the devastating wildfires and are facing the long road ahead to rebuild, which is why I’m working with my California colleagues to secure an initial $9 billion to help our recovery efforts. 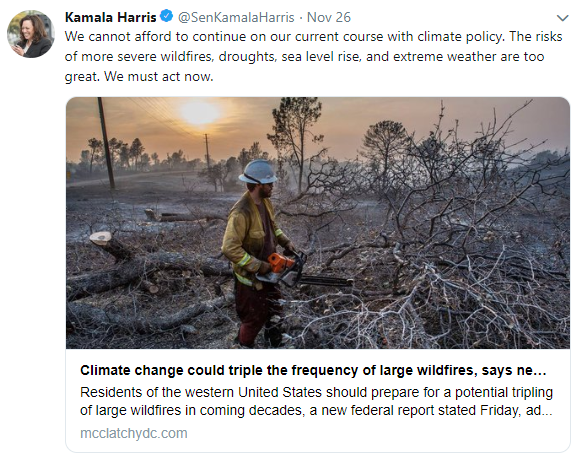 These wildfires claimed precious lives, devastated communities, destroyed thousands of homes, and forced thousands of Californians to evacuate. My heart aches for the families who lost everything, including loved ones. I am incredibly grateful to the firefighters who have been hard at work fighting these fires. We’ve got a lot of work ahead of us, but let us come together and help to rebuild our state, to be stronger in the face of our changing climate. The road to recovery for these communities won’t be easy, and we have a responsibility to give them the federal support they desperately need. 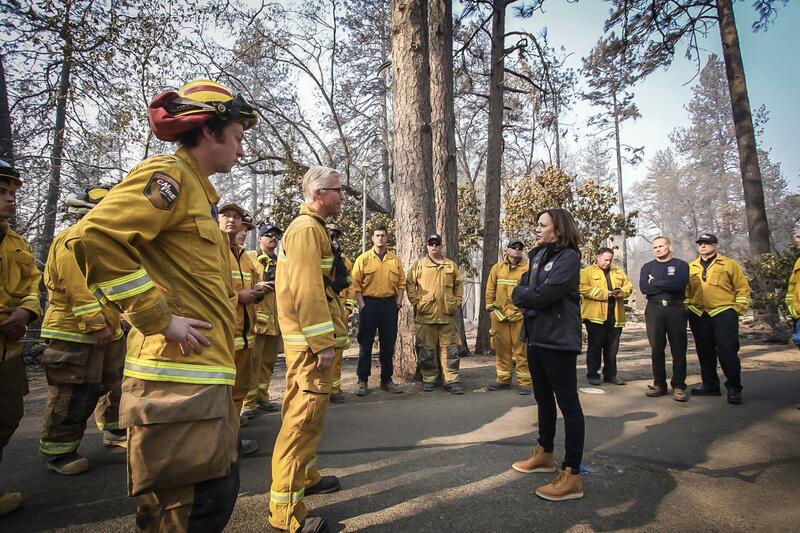 Recently, Senator Harris toured the wildfire affected areas in Paradise, California with firefighters, local leaders, emergency management officials, and evacuees impacted by the Camp Fire, the deadliest and most destructive fire in California history. 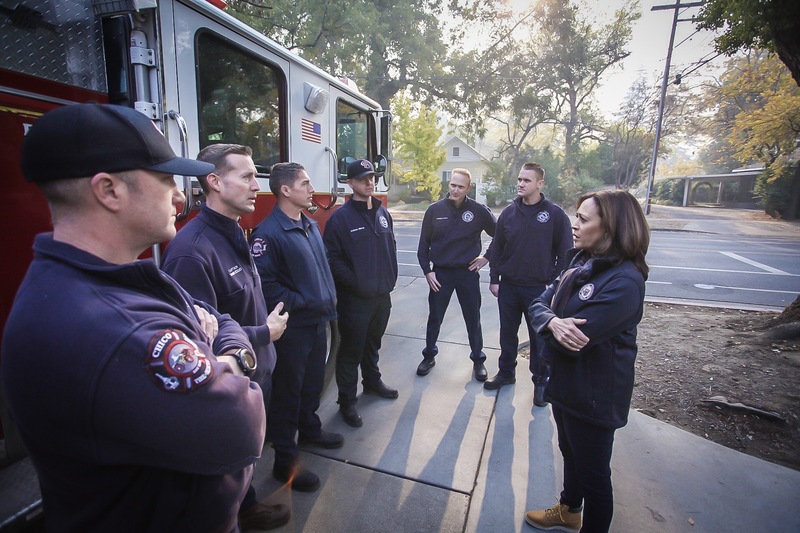 Senator Harris also received a briefing on the current response efforts and ongoing concerns this fire season from local firefighters and first responders. Senator Harris and her staff stand ready to assist you and your family during this very difficult recovery and are committed to help you through each step of the process. If you have any questions or need assistance during the recovery process, please contact our casework team by emailing casework_harris@harris.senate.gov, or calling our San Francisco office at (415) 981-9369. Additionally, our office has compiled the information below to help you navigate the services available at the federal, state, and local levels. Transitional Sheltering Assistance and Critical Needs Assistance is available for survivors in Butte County. Expedited Rental Assistance for uninsured survivors in Butte, Los Angeles, and Ventura Counties is available. The U.S. Small Business Administration is offering disaster loans to businesses, homeowners, renters, and nonprofit organizations affected by the fires. Visit WildfireRecovery.org to find a comprehensive list of disaster programs, resources, and information.